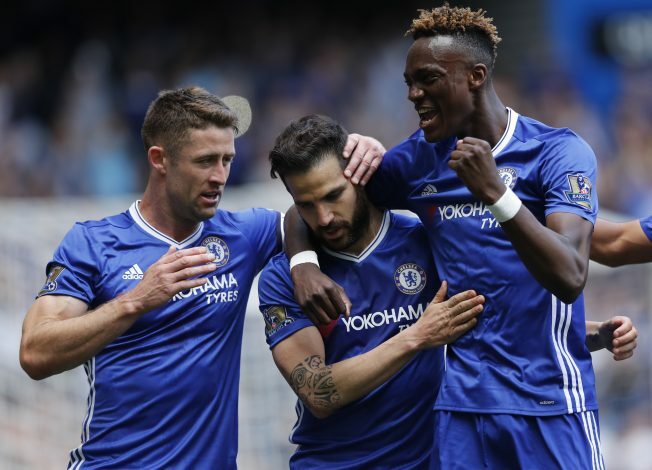 Manchester United have reportedly been scouting Chelsea forward Tammy Abraham, having sent their officials to watch the loanee in action for Swansea against Birmingham City on Saturday. Tammy, who signed a new five-year deal earlier this month with the Blues, has been viewed as one of the hottest emerging talents in Europe. The 19-year-old spent an excellent last season at Bristol City, and joined Swansea on loan for the upcoming season after signing the extension on his current contract. Having netted 26 goals from 48 games for the Championship side, and winning the club’s Player of the Year, Young Player of the Year, and Top Goalscorer awards in the process, the Anglo-Nigerian is now being closely monitored by Manchester United, as per Express. It was reported that Tammy was being watched by Man United scout Stephen McCarthy during Swansea’s victory over Birmingham City, and McCarthy’s trip did not go to waste, as the young sensation proved his quality by scoring a fine volley in the 56th minute. “I am very pleased,” Abraham said after the match. Swansea will be facing Southampton on the opening day of the season, and the young forward seems to be all set for the stiff competition. “We feel we are on course for Southampton. We know it’s getting closer and closer and we have to be ready. We have to show everyone what we are made of in the first game,” the forward added.